The credit card will be charged if there is a no show.The remainder of the amount will be charged if the clients cancel the reservation three weeks before arrival. 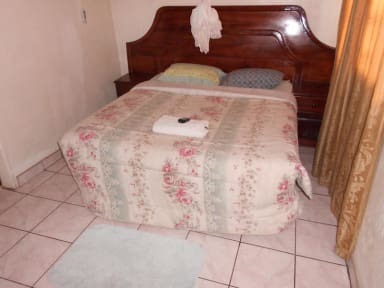 The clients comfirmation deposit will require that 40% due to Comfort Corner Guest House be deducted upon receiving of the booking. 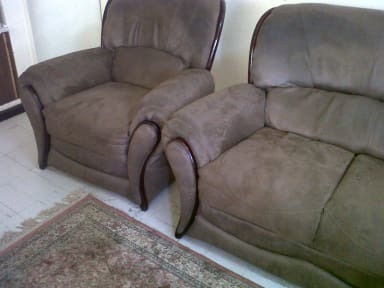 Comfort Corner Guesthouse is a Bed&Breakfast Guesthouse located in the city of Livingstone. It has 9 rooms all together, 7 self contained and 2 ordinary rooms. The Guesthouse is found in a quiet area but allows its clients to access tour activities near the Zambezi river. The establishment started operating in 2004 and has developed from offering accommodation to domestic tourists to foreign as well. Visit us and you will feel at home away from your home. The guesthouse is located just near NewFairmount Hotel at Plot No 24 Maambo Way, Livingstone. The guesthouse makes booking for tour activities with tour companies like SAPFAR which operation cruises, Helicopter rides and others activities. Visit us you will feel at home away from your home.